After 16 years of the so-called war on terror, people feel no more secure than in the aftermath of 9/11. Police officers stand guard in a cordoned off area after a van ploughed into the crowd on the Rambla in Barcelona, Spain, on August 17, 2017. Utrecht Robin/ABACAPRESS.COM/ABACA/Press Association. All rights reserved.The Barcelona attack followed a pattern that has developed over nearly three years and stems from the start of the intense US-led air war against ISIS which began back in August 2014. That was instigated by the United States following the taking of Mosul by ISIS and its wider control of much of Northern Iraq, and the air war then evolved into a very considerable operation involving a broadly based coalition of states. While it did include a few regional states such as Jordan, the overwhelming majority of the attacks have been undertaken by the US Air Force and Navy, but aided by many other states especially France and the UK, together with Australia, Canada, Germany, Belgium and several others. The air war has used tens of thousands of missiles and guided bombs and after three years the Pentagon reports that the coalition assault has killed at least 60,000 ISIS fighters. This is in itself quite an achievement since the DoD view three years ago was that ISIS had a total force of no more than 30,000. Either the original estimate was wrong or ISIS has had a steady flow of new recruits from the region and beyond, the evidence pointing to the latter. The air war, though, has been effective and has aided the defeat of ISIS in Fallujah, Ramadi, Mosul and elsewhere, although the costs to civilians have been huge – western Mosul has been likened to the ruins of Stalingrad. Tacitus comes to mind – “we made a desert and called it peace”. We are moving into an era of conflict where traditional methods of military control simply do not work. Yet the Barcelona attack follows a pattern that has very clear origins. Five years ago the original ISIS aim was to create a geographical caliphate focused on a Raqqa/Mosul axis but once it became clear to the ISIS leadership that this could not last in the face of a massive and sustained air assault, that aim changed. Work began in order to spread the message abroad, prepare for a sustained guerrilla war in Iraq and Syria and organise the means to attack the “far enemy”. Many of those attacks are inspired or encouraged by ISIS propaganda and its sustained policy of presenting itself as the true defender of Islam under attack by the crusader forces of the far enemy, but some are directly supported or even organised by the movement. The methods are often crude, but they can be when the attackers are prepared to die for their cause. Across the world, and in addition to Barcelona, they have included attacks in Brussels, Paris, Berlin, London, Manchester, Nice, Istanbul, several in the United States and in many other countries, not least Afghanistan. The attacks in the west have three main aims – to demonstrate continuing power, as revenge, and most importantly, to stir up as much anti-Muslim bigotry and Islamophobia as possible. The attacks in the west have three main aims – to demonstrate the continuing power of the movement, as revenge for its own losses and, most importantly, to stir up as much anti-Muslim bigotry and Islamophobia as possible. 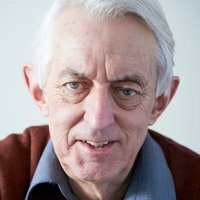 It goes without saying that the overwhelming majority of Muslims are aghast at what is being done in the name of one of the three great Religions of the Book, but a tiny minority do get sucked in. The really difficult thing for western politicians and military leaders to accept is that we are moving into an era of conflict where traditional methods of military control simply do not work. After 16 years of the so-called war on terror, people feel no more secure than in the aftermath of 9/11. Right now, Trump has to decide whether to withdraw from Afghanistan or reinforce the US presence, the war in Iraq and Syria continues, ISIS has links across the world including in the Philippines, and Islamist paramilitaries are active not just across the Middle East and North Africa, but right across the African Sahel. At some stage there will have to a complete rethinking of western security policy but there is little sign of that for now. 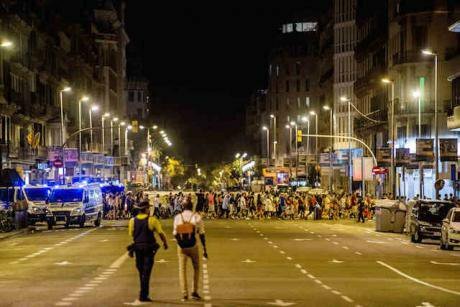 The consequence is that the terrible attack in Barcelona will come to be seen as one more indication of the new normal.